Curry restaurant Shirakawa is located on underground shopping complex called Zest where a lot of restaurants and fashion shops are. Basic taste of curry brings back memories of our mum’s when we were child. The interior of the restaurant is like 80’s in Japan so that you may feel what Japan is in the past. It is possible that you can choose how spicy curry is. Seasonal vegetable is changed irregularly. Their tastes are not light in curry sauce. Have fun fresh vegetables when you come. Be served with several thick pork. It is suitable for mild leveled curry sauce. You can not stand having it as you are served. It would be mouth washing after eating main. Yuzu (Citron) is very fresh and popular fragrance. Flavour would be changed irregularly. If you need more spicy taste, you could add this which on the table. 2or 3 times over curry is enough or your mouth may be double. English menu is available. A staff speaks basic English. You can choose topping for rice ￥250 Garlic, onion, basil and more. Drink and Salad need ￥350. You can select how spicy, Mild, medium, hard spicy. If you would like to try having hard spicy one, ask waitress, “Ohkara wo Kudasai” I will have hard spicy curry. You can choose toppings and the hotness of the curry, and choosing is fun! 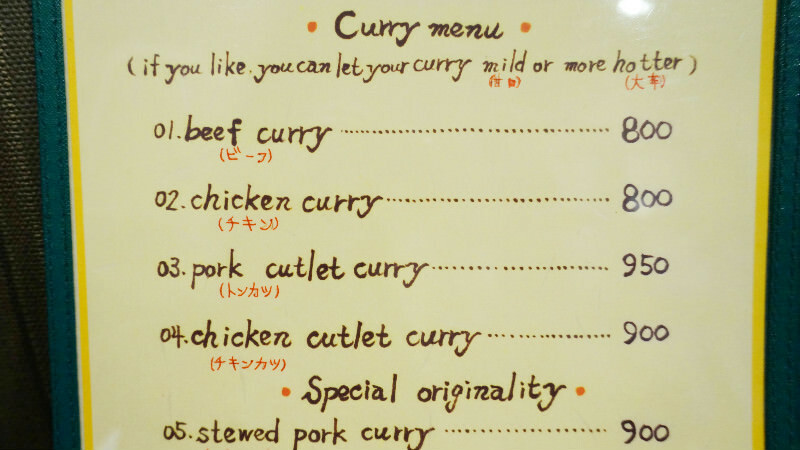 My favorite is the vegetable curry. It contains a lot of vegetables and it's healthy! 3-minute walk from Subway Kyoto Shiyakusho-mae Stn. Would be crowded by customers at lunch time for business person, 11am-2pm. English and Chinese menus are available.